cuisine and their territory of origin. Carlo is the “technician”, a meticulous winemaker specialized in Prosecco spumante with a refined palate, always striving to discover authentic scents and flavors. To the perfectly technical – yet standardized – wines, Carlo prefers those that are genuine and alive, where nature evolves in the bottle of wine. Leonardo, promoter of Italian wine in the world, enthusiastically explores all types of cuisines, of unusual combinations, of informal and authentic convivial moments, and all that pleasantly “brings people together”. At one point during his ongoing quest, Leonardo found himself reminiscing about the first wine he ever tasted, in the enoteca of his grandfather Giuseppe: a sparkling wine aged on lees, a wine that came from the tradition of the hills, which today meets the growing demand for excellent natural quality and specificity. Twenty years ago, the young Carlo and Leo made their first experience producing sparkling wine on lees for their own consumption. Today this fantastic wines still thrills both of them as before and more than before. With heightened curiosity, they have returned to their origins with a contemporary thrust, thanks to winemaking innovations and technology. 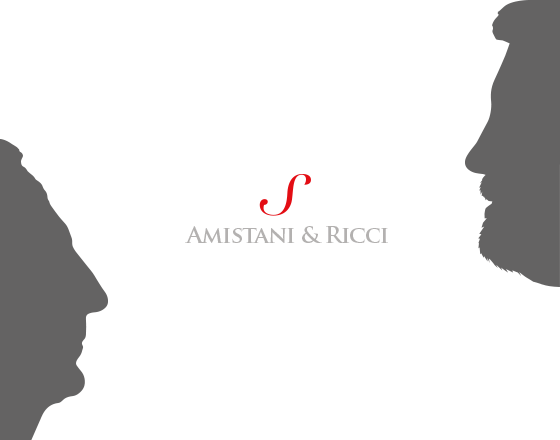 Thus Amistani and Ricci’s Sulié La Cuveé Brut and Sulie Typos Brut were born, “Spumante Integrale” sparkling wines long aged on lees.